NEW YORK (KABC) -- Linkin Park wrote a heartfelt statement about lead singer Chester Bennington, who died by hanging last week. The rock band began the statement, which was released on Monday, with "Dear Chester." "The shockwaves of grief and denial are still sweeping through our family as we come to grips with what has happened," the band said. Bennington hanged himself from a bedroom door in his Palos Verdes Estates home. He was 41 years old. "You touched so many lives, maybe even more than you realized. In the past few days, we've seen an outpouring of love and support, both public and private, from around the world. Talinda and the family appreciate it, and want the world to know that you were the best husband, son, and father; the family will never be whole without you," the statement said. Bennington was one of two lead vocalists for Linkin Park, which became one of the most commercially successful acts of the 2000s. They won countless awards, including Grammys, and their hits include "In the End," ''What I've Done" and "Numb." The band also includes Mike Shinoda, Brad Delson, Dave "Phoenix" Farrell, Joe Hahn and Rob Bourdo. 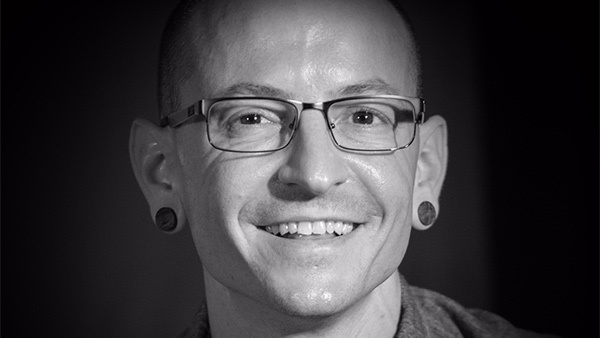 They said Bennington's "absence leaves a void that can never be filled - a boisterous, funny, ambitious, creative, kind, generous voice in the room is missing." Linkin Park was set to launch a tour this week but it canceled it following Bennington's death. They released their debut album, "Hybrid Theory," in 2000, and their most recent album, "One More Light," dropped in May. Our love for making and performing music is inextinguishable. While we don't know what path our future may take, we know that each of our lives was made better by you. Thank you for that gift. We love you, and miss you so much," the statement read. The band signed off with, "Until we see you again."